Hot Off The Press: The 2013 DART Rate OSHA Letters Are Going Out. – Is Your Company On The List? OSHA DART Rate Inspection List 2013(1) <--Download Excel Spreadsheet Here It’s that time of year again: March Madness bracket disasters, turkey hunting in the southeast, spring weather and letters from fed-OSHA for those with high DART rates. Days Away, Restricted and Transferred reflects the more severe (and expensive) injuries and illnesses that resulted in lost-time, … Continue reading Hot Off The Press: The 2013 DART Rate OSHA Letters Are Going Out. – Is Your Company On The List? Injured At Work……. Positive Test For Pot: Does Employee Get Workers Compensation? Is testing positive for pot enough to disqualify an injured employee from receiving workers’ comp benefits? Vincent Hogg worked at the Oklahoma County Juvenile Detention Center. He suffered an injury to his right shoulder and neck while subduing an unruly, combative juvenile. The Worker’s Compensation Court (WCC) found Hogg sustained an injury at work and … Continue reading Injured At Work……. Positive Test For Pot: Does Employee Get Workers Compensation? Safety as a value on and off the job makes good safety and business sense. In many ways as a plant organization, plant workers, and individually you receive the level of safety performance that you demonstrate you want to achieve! Everyone wins by enhancing safety as a value. 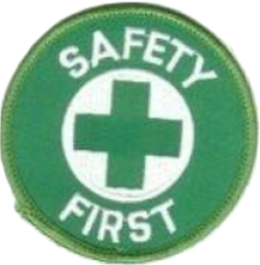 Continuous safety performance improvement is a … Continue reading Proactive Safety Means Tomorrow Begins Today!